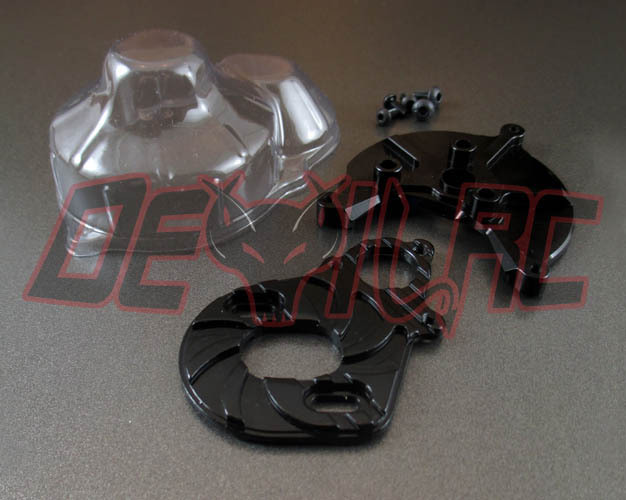 This Heavy Duty aluminum motor plate and cover is the perfect replacement for your Axial transmission. The motor place is made of solid aluminum and ribbed to aid with cooling, so it is sturdy enough for the most powerful motor. The cover mount is aluminum and attaches to your transmission in place of several of the spacers usually used. 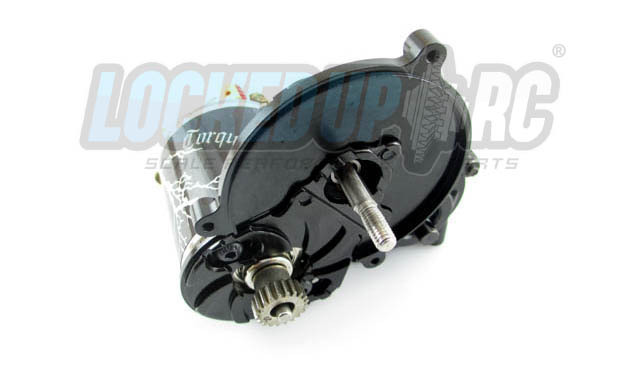 The cover itself is lexan and help protect your spur gear from debris. 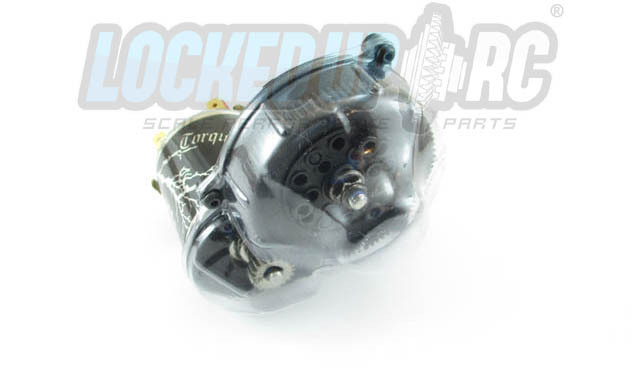 -Includes motor mounting screws and cover mount screws.